It’s no secret that a perfect antidote to a long workweek is a small town with a lot of charm, a great food & drink scene, and some oddball claims to fame. While there are plenty of great escapes just outside the city, these 10 tiny towns near NYC have somehow escaped detection, which means you get to enjoy a weekend free of crowds and high costs. Whether you want to relax on a secluded beach on the Jersey Shore or make a great catch in Trout Town USA, each of these quaint retreats in the Tri-State Area is less than three hours from the city, but couldn’t feel farther from home. Why you need to go: It’s one craft brewery away from becoming the Catskills’ new hickster hotspot. Dubbed “Trout Town USA” for boasting five of America’s top trout streams (like the hallowed Beaverkill River), Roscoe gives your getaway-weary soul a much-needed reboot with its homey milieu and unexpected quirks. 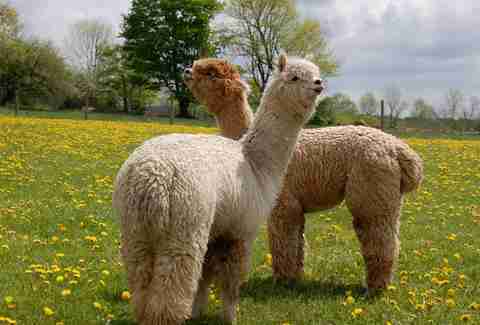 There’s an abandoned castle, a railway museum, and you can spend the night on an alpaca farm. 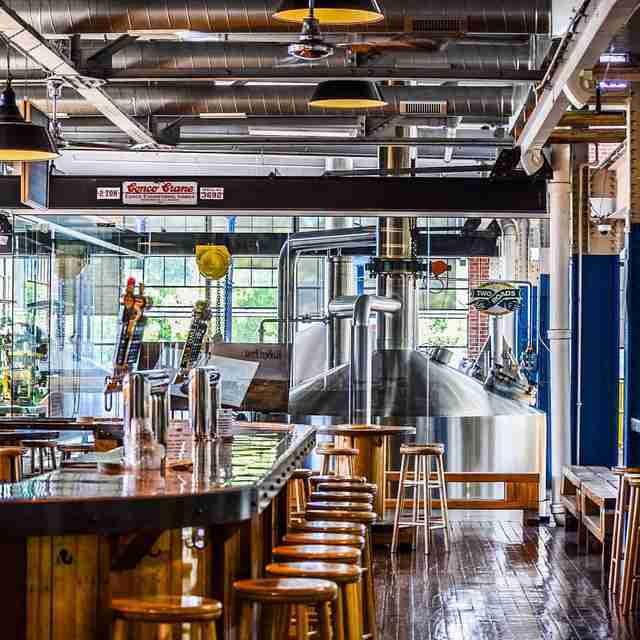 Line your stomachs with Roscoe Diner’s French toast and Rolling River Café's Russian dumplings before visiting the Roscoe Beer Company, Prohibition Distillery, and Catskill Brewery. Why it isn't more popular: Roscoe’s fishy reputation keeps non-anglers at bay (Downtown is like one giant Bass Pro Shop), culture is naught, and though you can take a coach bus directly to Roscoe from Port Authority ($74 round-trip), the area is not easy to explore without a car. The one thing you must do: Go fish. Why you need to go: The seashores in Highlands are pristine and uncrowded, even in the summer. Waterfront restaurants like Bahrs Landing and Windansea -- where the Tiki bar scene is akin to a slice of Miami, minus the glitz and Zika -- offer views as great as the food. You’ll meet locals along the car-free coastline bike paths who still consider their town to be the best-kept secret in Jersey (sorry). Why it isn’t more popular: Though only a breezy hour-long Seastreak ferry ride ($27 one-way) from Manhattan, Highlands gets overshadowed by its more action-packed neighbors like Asbury Park and Atlantic City. 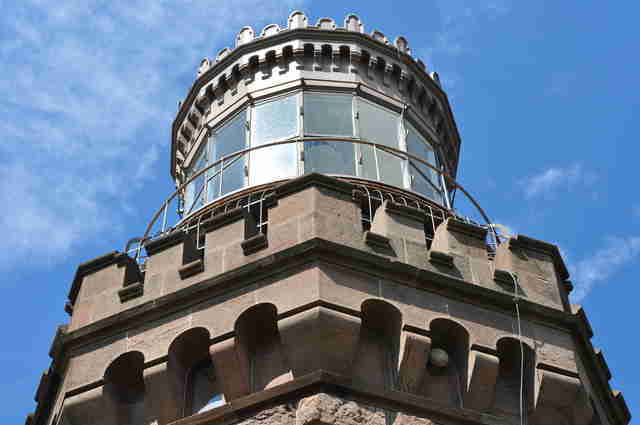 The one thing you must do: Visit the Twin Lights Lighthouse, nestled on the highest natural point on the mainland of the Atlantic Coast, where it’s been since 1828. Have a picnic overlooking the spectacular panorama of Sandy Hook, Raritan Bay, and the Atlantic Ocean. Or, join Bike New York’s annual Twin Lights Ride in the fall for a scenic spin through New Jersey that ends with a rewarding feast in Highlands. Why you need to go: It’ll be the easiest family day trip you’ve ever planned. It’s also a perfect hideaway for when you want to do nothing but drink a beer and watch the sailboats. You can take a schooner cruise with the Connecticut River Museum, or ride back in time on a riverboat and locomotive tour with the Valley Railroad Company. 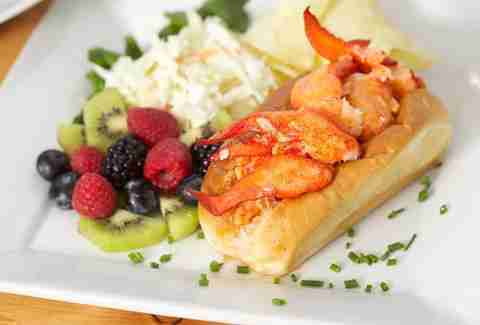 After that, the move is to head to Marley’s Cafe for a Cubano sandwich or Abby's Place for a lobster roll -- and that dreamy maritime expanse. Why it isn’t more popular: The scene skews more Medicare than millennial (which can actually be kind of refreshing). The lack of direct train or bus service is another reason why people aren’t flocking to Essex. The one thing you must do there: When in the Constitution State, you’ve got to have a rum-and-berry infused Liberty Lemonade at The Griswold Inn, built while the Declaration of Independence was being drafted. Why you need to go: Athens just got its first this-could-be-Brooklyn bistro in July (make that its first bistro ever), so don’t wait for the town to become far more than that exit you pass on one of your upstate road trips. Rive Gauche’s eggs Benedict is only one of many “a-ha moments” you’ll encounter in this artsy under-the-radar hamlet set on the west bank of the Hudson River. You can also slip into the Athenian lifestyle by stand-up paddleboarding ($25/hour); stocking up on fudge, fresh-baked pies, and fruit at Black Horse Farms; drinking an Outrage IPA or Black Rock Stout at Crossroads Brewing Company; and strolling through the cheery village, which looks like Eden for Instagrammers and has over 300 buildings on the national and state historic registers. The one thing you should do: Attend a weekend concert at Happy Jakes at The Stewart House. Why you need to go: Home to the world’s first helicopter ascent, this small town tucked away on Long Island Sound delivers on the nautical charm, but it’s the unexpected food scene that makes Stratford so exciting. Order a 9in hot dog at Danny’s Drive-In and a pint of Honeyspot Road IPA at Two Roads Brewing Company. Have a sundowner and fish tacos at Outriggers Restaurant or one of the best Italian meals you’ve had in a while at Biagio Osteria, making sure to save room for a donut, er, make that a box of Donut Crazy’s concoctions. Why it isn’t more popular: Greenwich is closer. The one thing you must do: Marvel at the outlandish Boothe Memorial Park, the oldest homestead in America. Why you need to go: For a heavy dose of historic Hudson Valley charm without all the Brooklynized pretension, take a walk down Tivoli’s blink-and-you’ll-miss-it main street. 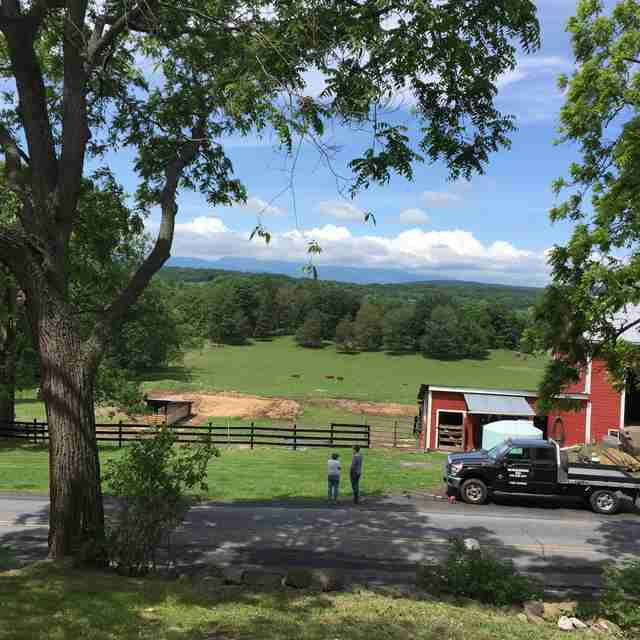 Its chill vibe, trek-worthy food, and idyllic setting near more popular places -- from artistic sites like Olana to the comparatively bustling villages of Red Hook and Rhinebeck -- make it a rare destination that won’t retain its unsung splendor for long. Sleep at the bohemian B&B Hotel Tivoli; stroll Broadway’s bacon-scented thoroughfare to the tune of crickets humming; step into the 19th-century church for Murray’s giant $4 egg sandwich on buttery quinoa bread; and linger on The Corner restaurant’s porch to people-watch and enjoy original cocktails, homemade pasta, and a Dusty Miller Sundae (with a surprise inside). Why it isn't more popular: The town’s teensy stature and lack of direct public transit service from the city make it easy to overlook. Plus, there’s that possible confusion with Copenhagen’s amusement park Tivoli Gardens… or, you know, Tivoli, Italy. 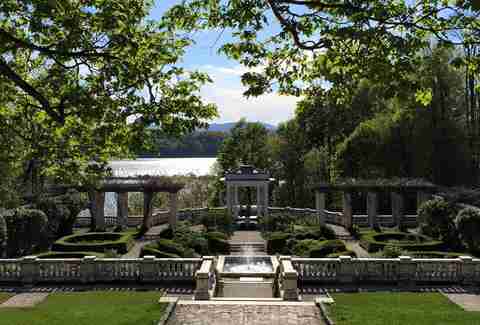 The one thing you must do: No self-respecting New Yorker would miss a visit to Bard College, home to the seemingly secret Blithewood Garden and the Frank Gehry-designed Fisher Center’s consistently stellar cultural lineup. Why you need to go: A day in Clinton makes the weekend feel way longer. It’s only an hour from Manhattan, leaving you plenty of time to see and eat everything here. After wandering New Jersey’s most compact Main Street and visiting the Red Mill Museum -- perched above a waterfall, and one of the most photographed buildings in America -- grab lunch at The Clean Plate Kitchen and an ice cream cone at J.J. Scoops, and spend a sublime afternoon exploring Spruce Run recreation area on a stand-up paddleboard. Depending on when you go, there might be a Rubber Ducky Race on the Raritan River, which runs through Downtown. The one thing you must do there: Order the brisket and mac & cheese at The Real Deal BBQ food truck to taste the best BBQ in the state. 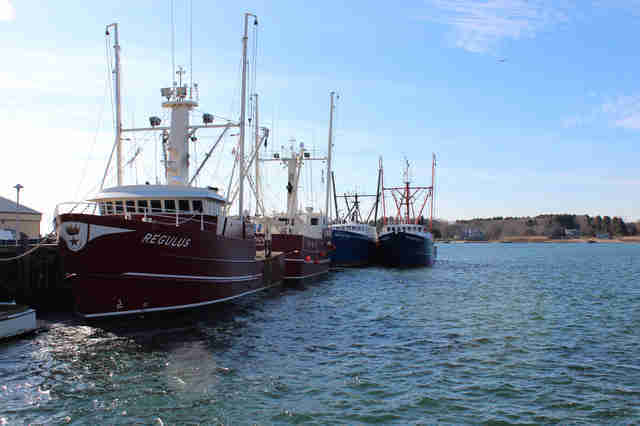 Why you need to go: Can we start a petition for Stonington to adopt the “happiest place on earth” slogan? Settled in 1649, Stonington takes postcard-perfect to new levels with its well-preserved rows of historic homes, watering holes like Breakwater and Dog Watch Cafe, and colorful plates of farm-fresh food at just about any restaurant in town (we’re partial to Milagro Café's ceviche and fish tacos). A trip here isn’t complete without a glass of rosé at Saltwater Farm Vineyard and a kayak excursion around Little Narragansett Bay. Why it isn’t more popular: Tourists tend to flock to neighboring Mystic Seaport, and there’s no direct public transit service from NYC to Stonington. The one thing you must do there: Bring home a couple cans of Dogs & Boats, a double India Pale Ale with Citra and Mosaic hops, from Beer’d Brewing Co, the best little craft brewery in Connecticut. Why you need to go: You’ll feel like the sole tourist in this town, which could double as a Western movie set with its main drag of colorful colonial-style buildings. 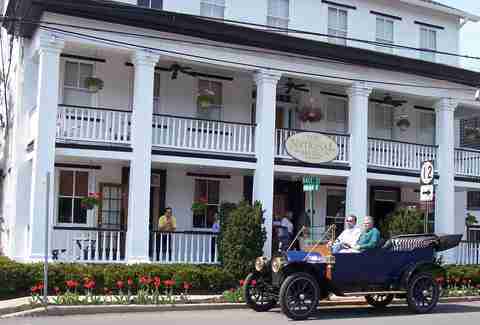 Fuel a day of tubing the Delaware River and biking the myriad covered bridges and scenic towpaths with a short stack of banana nut pancakes at Frenchtown Cafe and classic American fare on the front porch at The Frenchtown Inn. Why it isn’t more popular: Located between the bustling Pennsylvania towns of Bethlehem and New Hope, Frenchtown is easy to miss. The one thing you must do there: Have an Old Fashioned at The Rathskeller bar (circa 1851) at the National Hotel, a former brothel and stagecoach stop. Why you need to go: Cockaponset State Forest is pure bliss for mountain and cyclocross bikers, with over 20 miles of fantastic technical single-track trails. 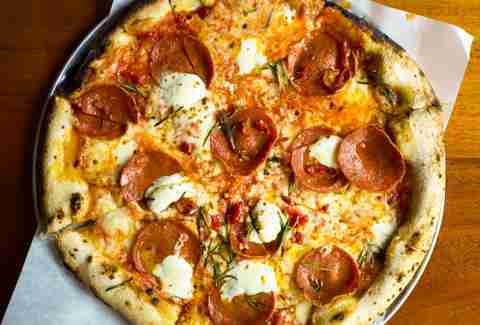 But even if you’re not traveling on two wheels, this Nantucket-y town and state historical landmark is full of culinary surprises that alone are worth the trip, from Otto Pizza, which is right up there with Pepe’s, to River Tavern's strip steak and chocolate soufflé. Why it isn’t more popular: It’s not the most accessible place, as there’s no train station. 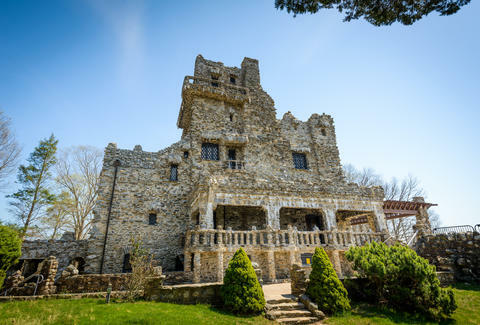 The one thing you must do there: Take the ferry across the Connecticut River to see Gillette Castle State Park’s medieval fortress, because it’s the closest you’ll get to living out your Game of Thrones fantasy. Lauren Matison is a New York-based travel writer and co-founder of offMetro.com who hears “shame, shame, shame” for revealing these places. Follow Lauren on Twitter and Instagram.